Ring’s Manufacturing announced a few days ago that they are working on a Bluegun training gun with a built in trigger fired laser. 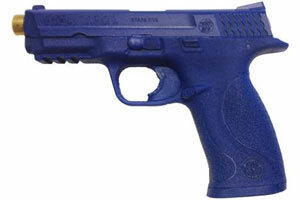 Not only will you be able to train safely using a Blue gun, but you can also simulate firing while you train. The laser training gun in currently in the preliminary stages while they get feedback on it. We have heard that there will be a few select handguns along with a Remington 870 Shotgun, but we should know more information within a few weeks.